Basketball is the American game; however, if there is a purely American sport, this is football. I do not mean soccer. I have already talked about the differences bettween British English and American English. If you want to revise it just click here. New York Giants versus New England Patriots. Good luck for both teams, although my heart is with my friend Sophia's team . This year is the XLVI edition and it is taking place in Indianapolis, (Indy), the capital of Indiana. 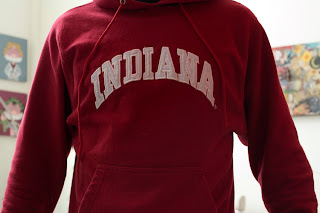 I have beautiful memories of Indiana, since my friends, Paul and Julie were living there for a while and I had the chance to visit them and have my first American experience. It derived from the English game of rugby, American football was started in 1879 with rules instituted by Walter Camp, player and coach at Yale University. Walter CampWalter Camp was born April 17, 1859, in New Haven, Connecticut. He attended Yale from 1876 to 1882, where he studied medicine and business. Walter Camp was an author, athletic director, chairman of the board of the New Haven Clock Company, and director of the Peck Brothers Company. He was general athletic director and head advisory football coach at Yale University from 1888-1914, and chairman of the Yale football committee from 1888-1912. Camp played football at Yale and helped evolve the rules of the game away from Rugby and Soccer rules into the rules of American Football as we know them today. One precursor to Walter Camp's influence was William Ebb Ellis, a student at the Rugby School in England. In 1823, Ellis was the first person noted for picking up the ball during the soccer game and running with it, thereby breaking and changing the rules. In 1876, at the Massosoit convention, the the first attempts at writing down the rules of American football were made. Walter Camp edited every American Football rulebook until his death in 1925. The following video has also got a brief history of football. If you think you already know a lot about Super Bowl, you can do this two-minute trivia. On the following web, you can learn about football gear. 1. What number appear on all the footballers? 2. How many masked cheerleaders can you count at the beginning of the video? 3. How many jerseys are laid on Madonna's feet? 4. What's the last word in the video and what's its meaning? 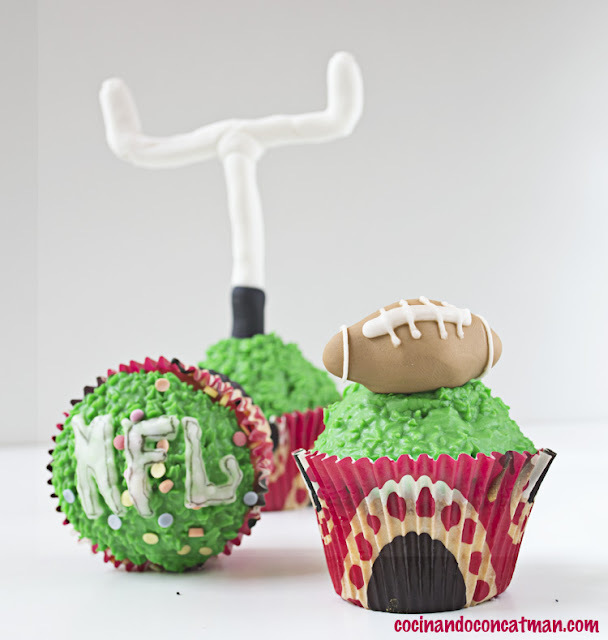 There is not typical food for the Super Bowl. People will do their tailgate party in the parking lots before entering the stadium. Food is basically junk food (finger food in this case) as when we gather in Spain to watch soccer, beer, crisps, olives, some cheese, etc. However, one of our favourite blogs has done the cupcakes above. They were just delicious! Finally, the Giants won 21 versus 17. Congratulations!! Here you are a link to watch the commercials during half time.